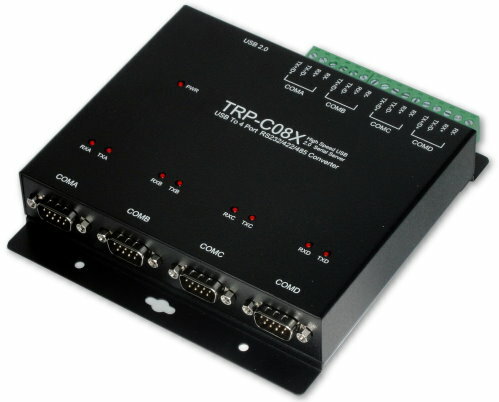 The TRP-C08X is USB 2.0 to Serials converter that has four DB-9 RS232 male connectors and Four screw terminal for RS422/485. 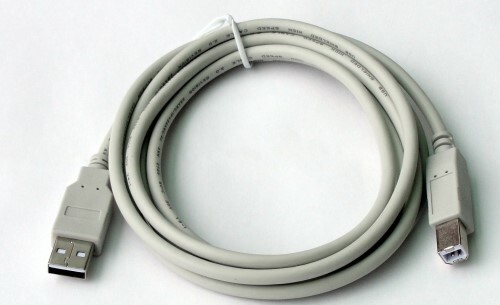 The DB-9 pin serial port is configured as a DTE (data terminal equipment) device which is same as all PC COM ports. The RS422/485 with Auto configuration in data format, baud rate and RS485 data flow direction control. The RS422/485 internal surge-protection on each data line, it gives the host computer and module itself entirely protection from destructive voltage spikes and danger of unregulated voltages input. 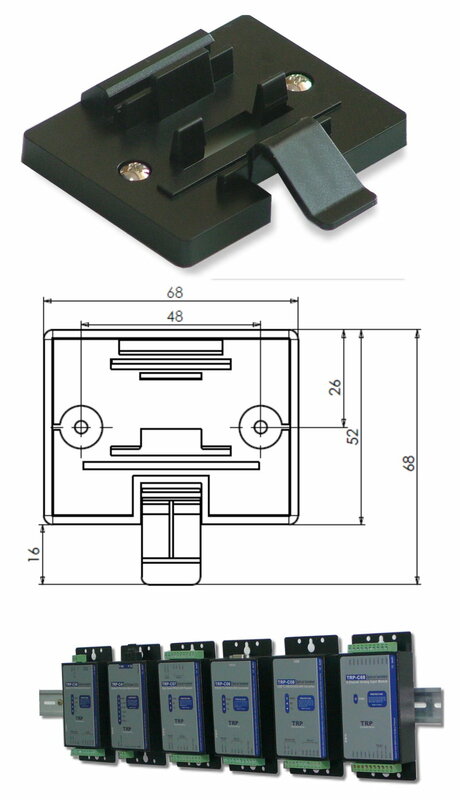 TRP-C08X also features a high-speed 921.6 K bps transmission rate, and supports various O.S. The industry DIN rail and panel mounting design enable user a fast and professional installation. Direct power from USB port, no external power necessary. RS232 signal: 4 Pair16c450/16c550 compatible UARTS. RS485 signal: 4 Pair Differential 2 half-duplex wires (D+, D-).